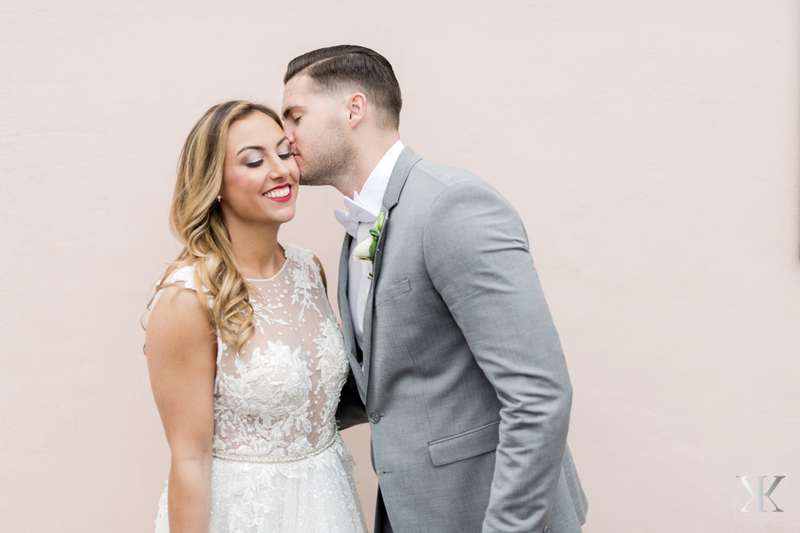 On Saturday, March 10th, 2018, 147 guests gather under the crystal chandeliers in the Villa Blanca in honor of Taylor Sentz and Jeff Darby. 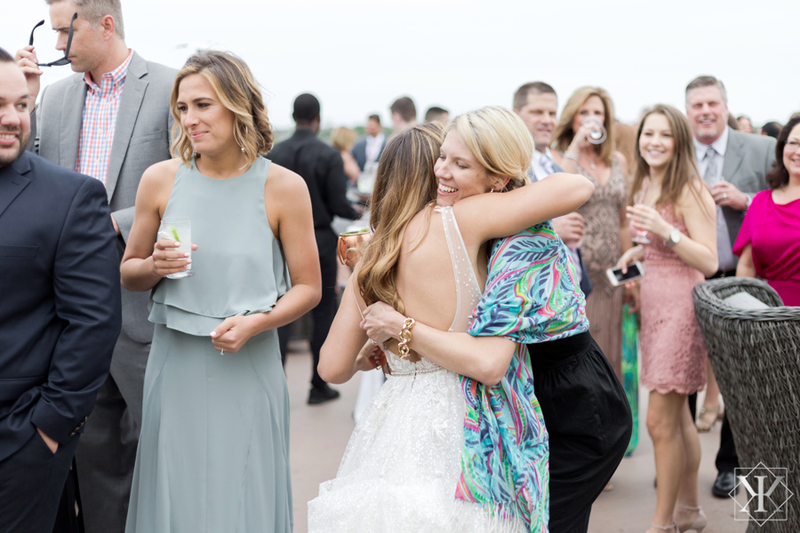 The room buzzes with excitement and social chatter in anticipation for the ceremony, while friends and family sip on the Veuve Clicquot champagne provided for guest arrival. 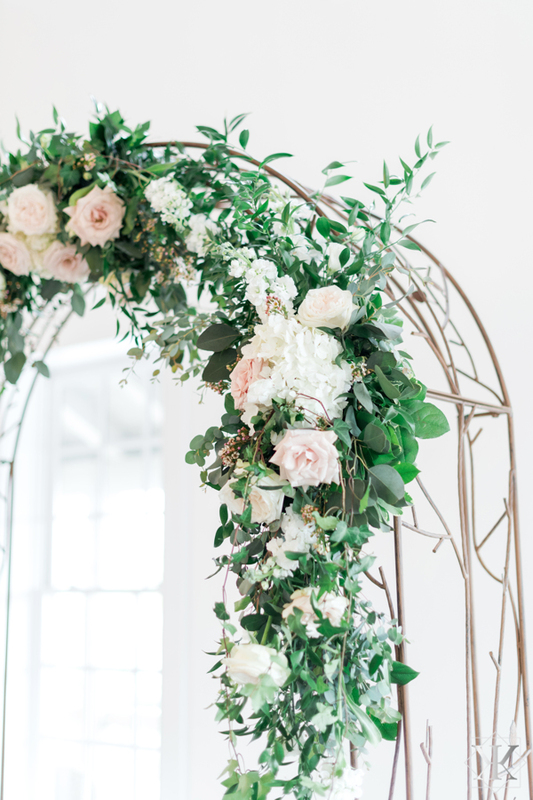 The vaulted white ceilings, foliage covered archway, and accents of pale pink roses set the scene for a St Augustine Florida Wedding. 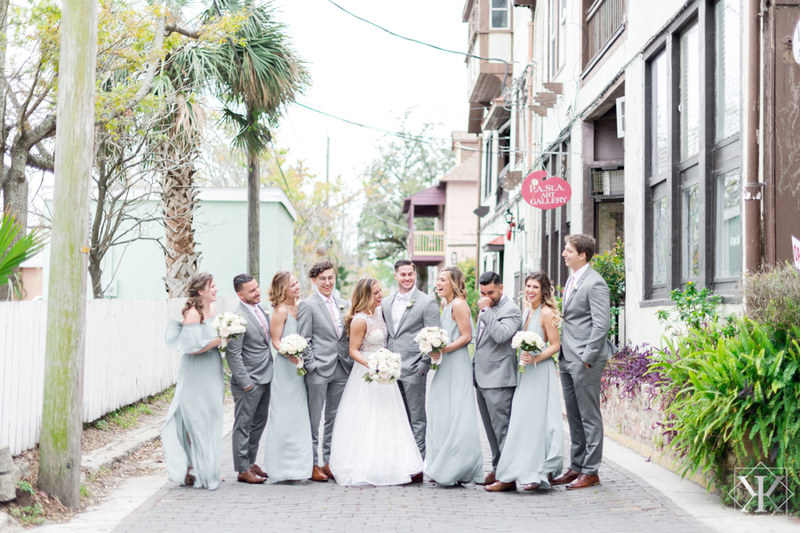 A few hours earlier, Bride Taylor and her bridal party gather in an Airbnb downtown to prepare for the St. Augustine Florida wedding. 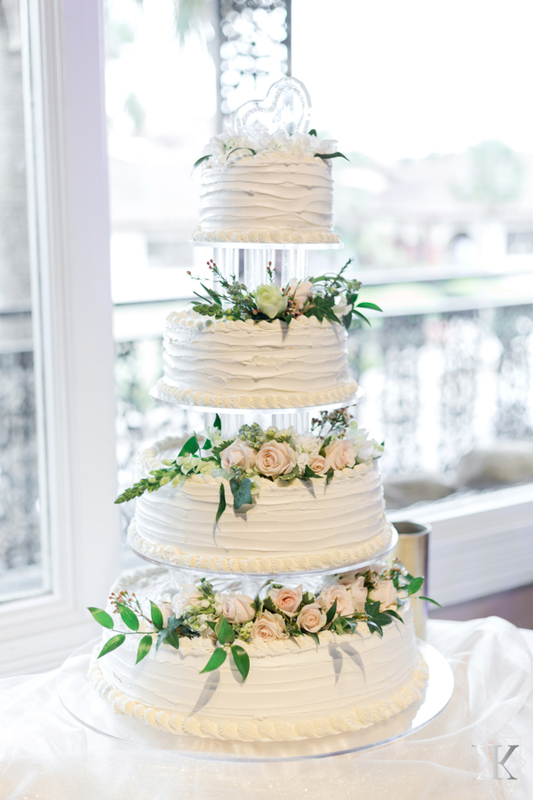 The quaint house is full of character- with plenty of natural lighting, sheer white curtains, and aqua accents. Everyone enjoys mimosas while hair is curled and make up is perfected. 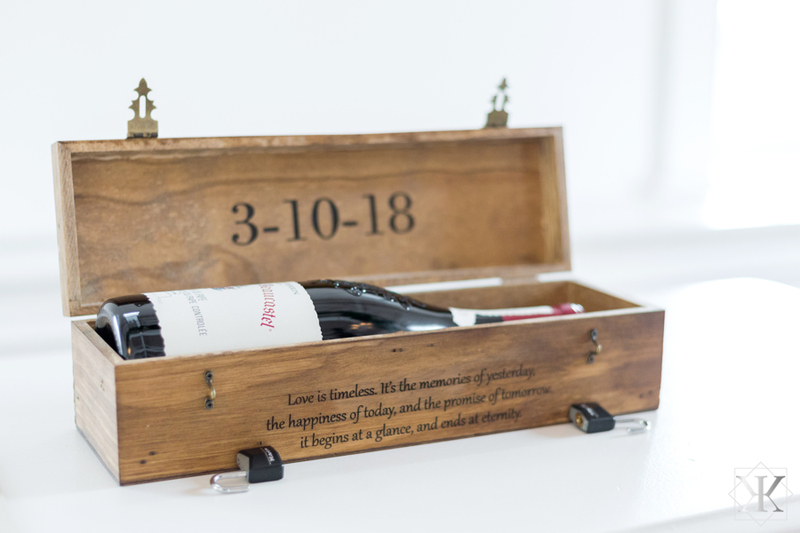 After exchanging sweet gifts, it’s time for Taylor to step into her wedding gown. 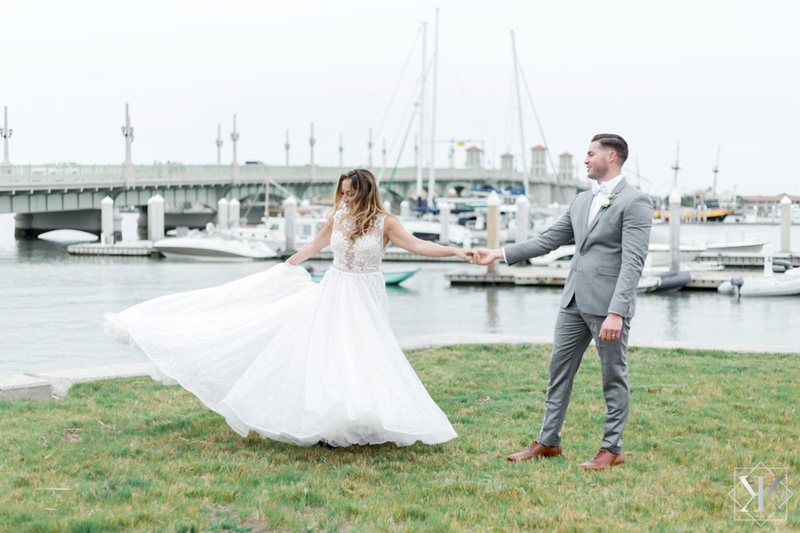 We are so in love with the detail on this dress! Taylor looks breathtaking in the sheer top with floral detail, trimmed with a delicate pearl belt, and flowing skirt. Bridesmaids join her with floor length muted aqua gowns, each with a different neckline for the perfect balance of unique and uniformity. 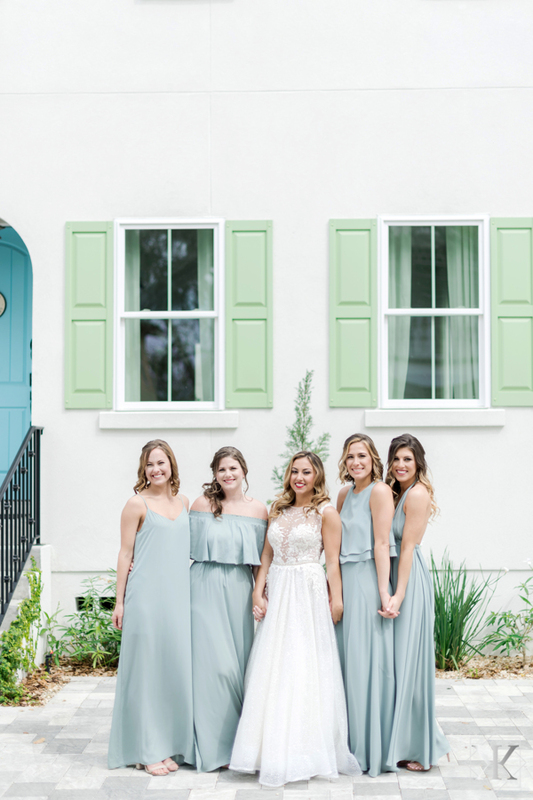 The color scheme complements the Airbnb decor flawlessly, creating these adorable pre-ceremony portraits! 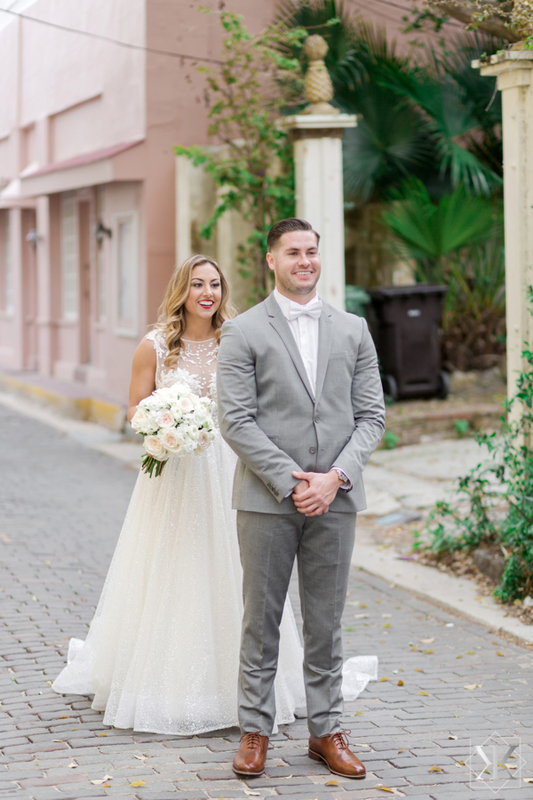 As the 3:30pm ceremony nears, Bride Taylor and Groom Jeff share a sweet First Look on the cobblestone streets of St. Augustine, just around the corner from the Villa Blanca and the White Room. The blush pink of the Villa Blanca exterior creates a cheerful background for the third portrait. 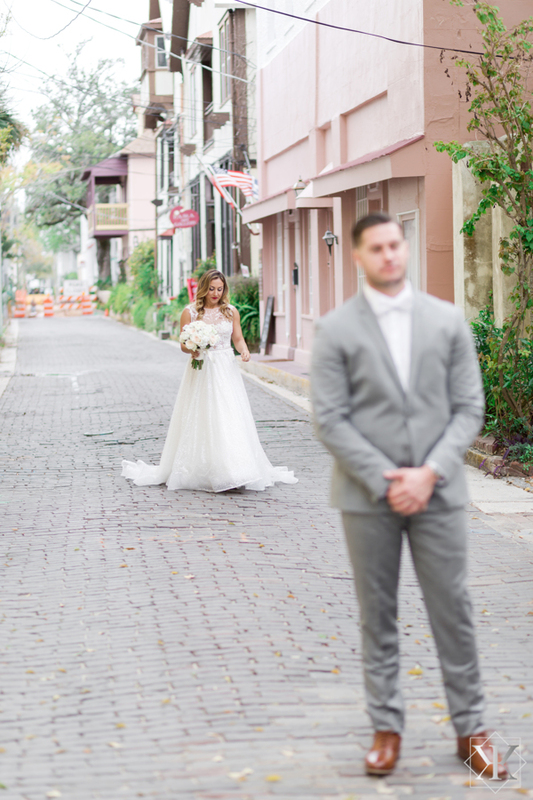 These captured moments are a fitting addition to a true St Augustine Florida wedding. 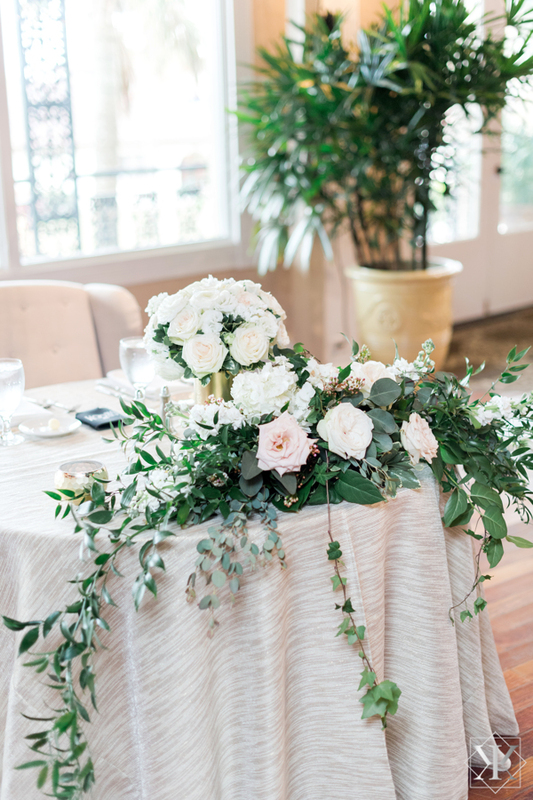 Back in the Villa Blanca, guests await the beginning of the ceremony for Mr. & Mrs. Darby. 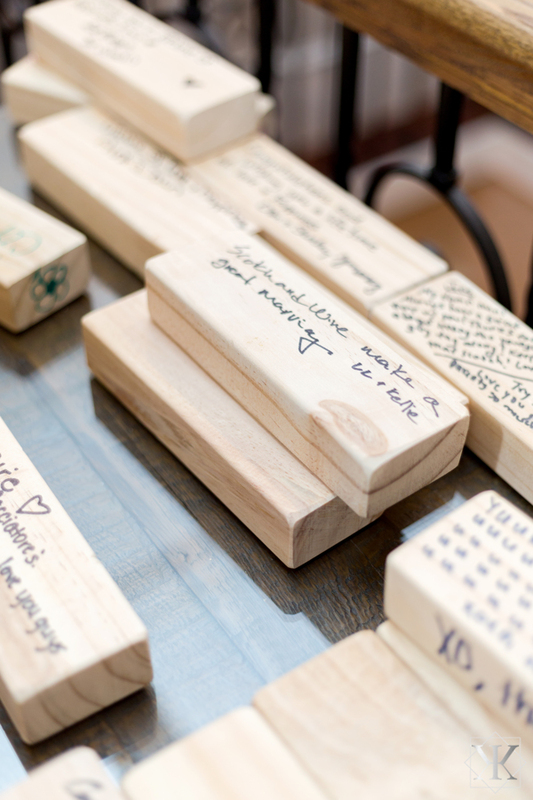 Personal details fill the space, with an Anniversary wine at the altar and a creative Guest Sign-In of Jenga pieces. All heads turn as the processional music begins and the ceremony is underway. 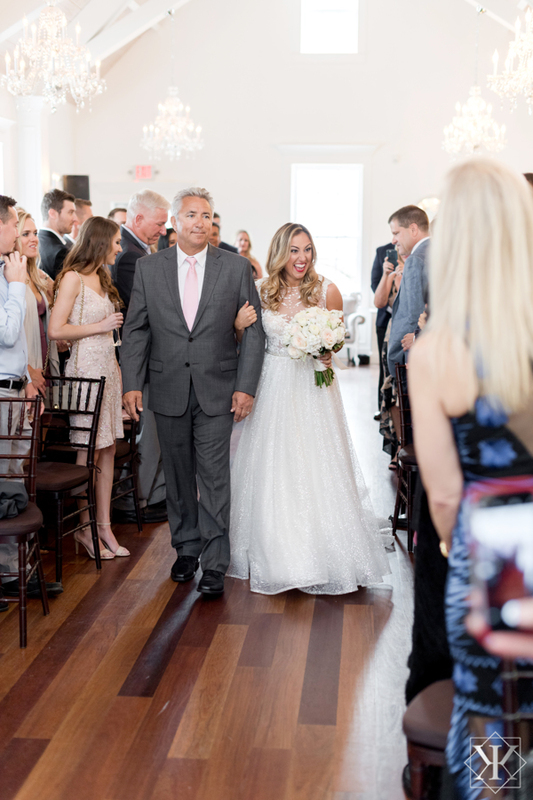 Taylor and her father walk down the aisle, with smiles and emotion filling the room. 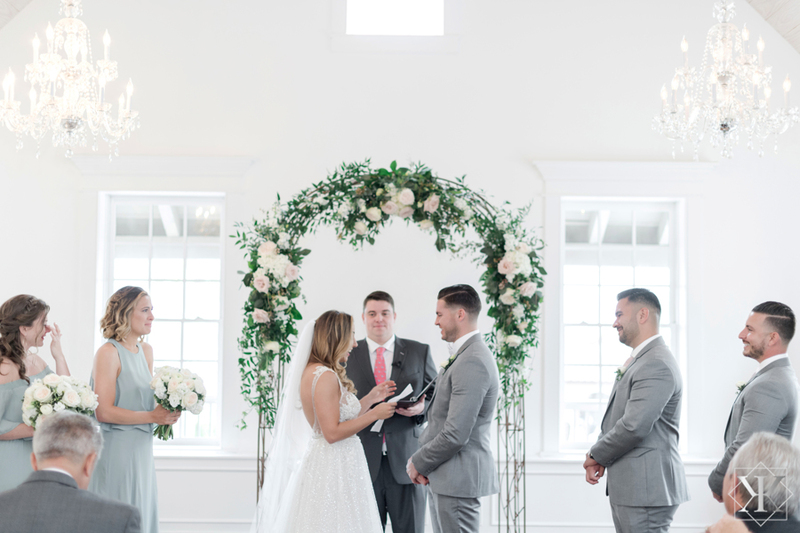 The Bride and Groom exchange vows and “I Do”s in the beautiful Villa Blanca, surrounded by friends and family. 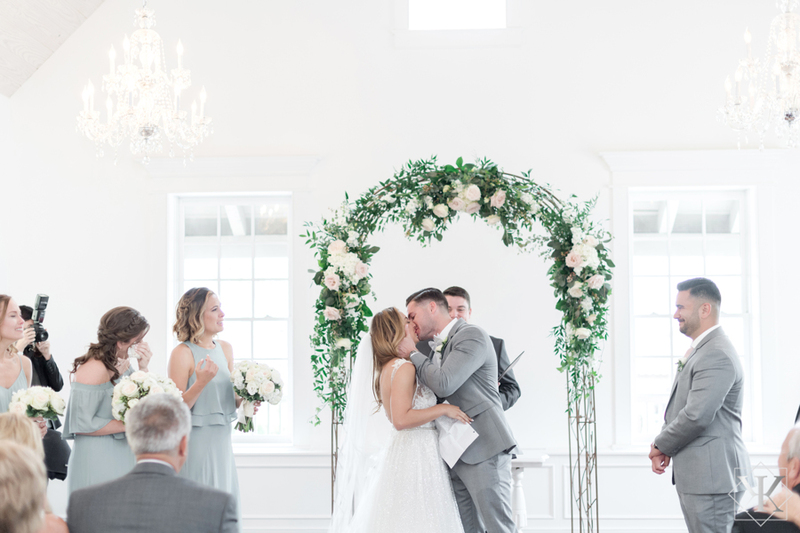 There are no shortage of tears or applause when the officiant announces, for the first time, Mr. and Mrs. Darby! 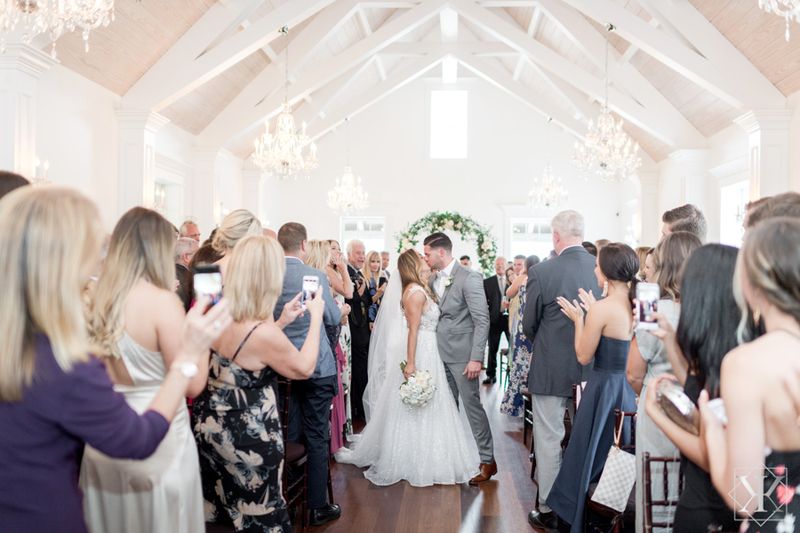 After the Villa Blanca Ceremony, the guests transition upstairs to the Loft and Rooftop for cocktail hour. Hor D’oeuvres options are a mix of coastal and traditional varieties, including mini lobster rolls, sesame seared ahi tuna, mini chicken wellingtons and pear and almond brie in filo. 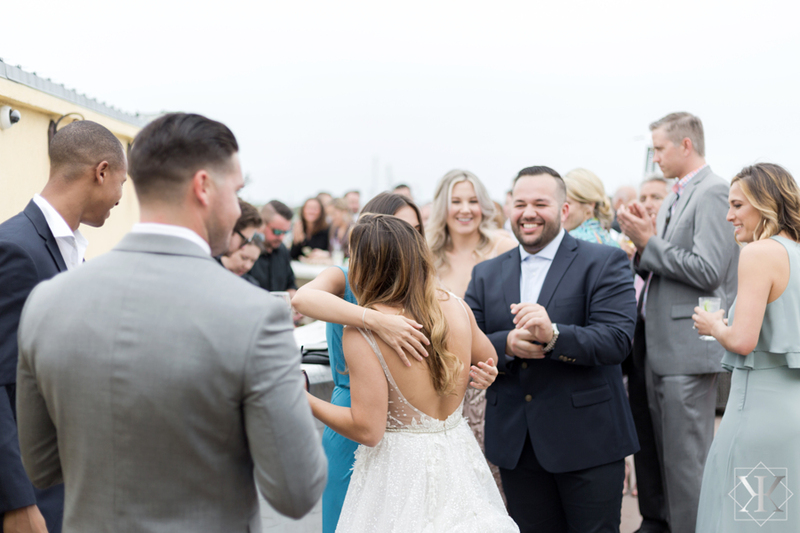 Guests gravitate towards the Seafood Station, featuring fresh shrimp and oysters perfect to enjoy on the rooftop for a St Augustine Florida wedding. A cocktail hour action station is a great way to add a special twist! A Signature Drink of the St. Augustine Mule adds another personal touch to cocktail hour, delighting guests with St. Augustine Distillery Co. Florida Cane Vodka, ginger Beer, lime juice, soda water, simple syrup and mint. 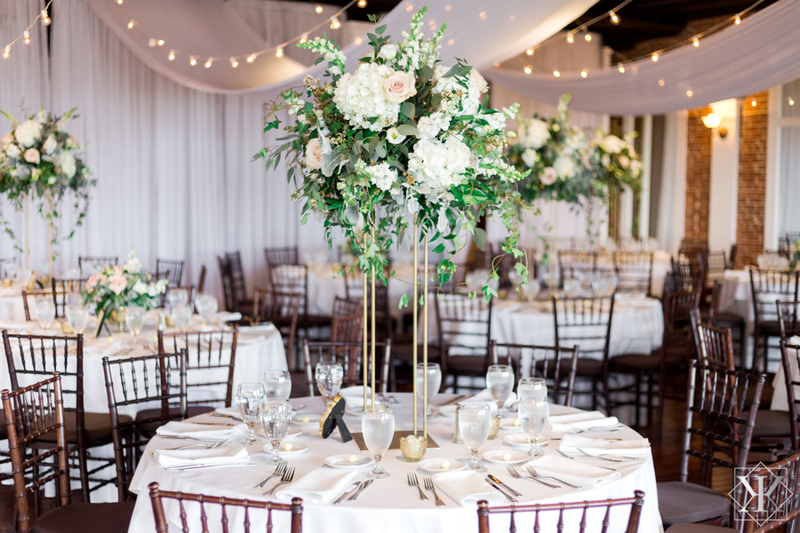 Our Grand Ballroom looks extra magical for dinner, with string lights and chiffon draping the entire ceiling. 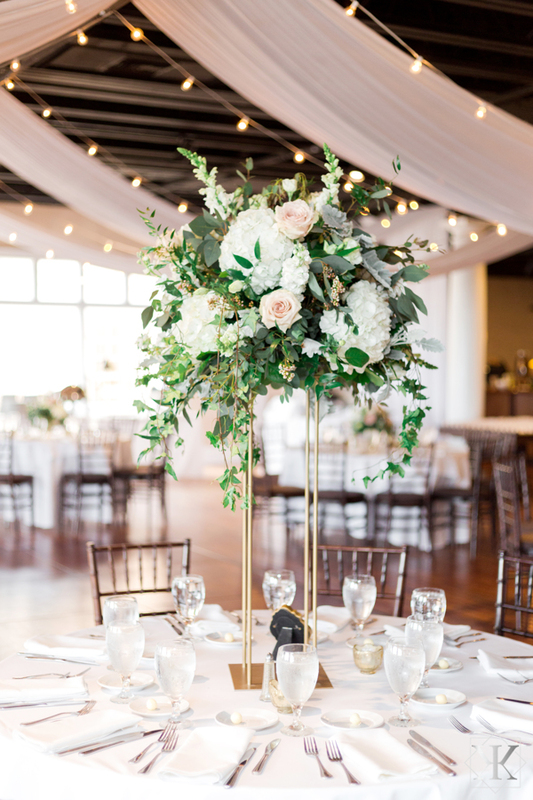 We love how this decor can transform the Grand Ballroom! 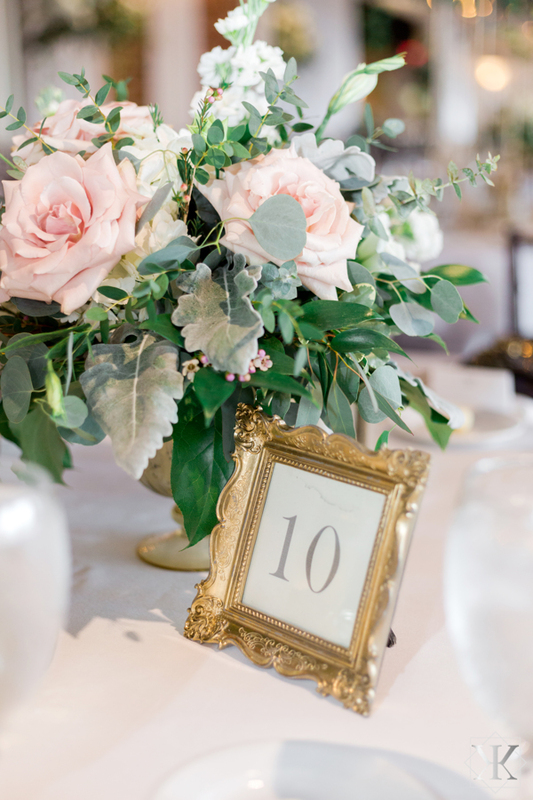 Elements from the ceremony carry over into this reception space, with pale pink roses and gold accenting featured in gorgeous centerpieces. 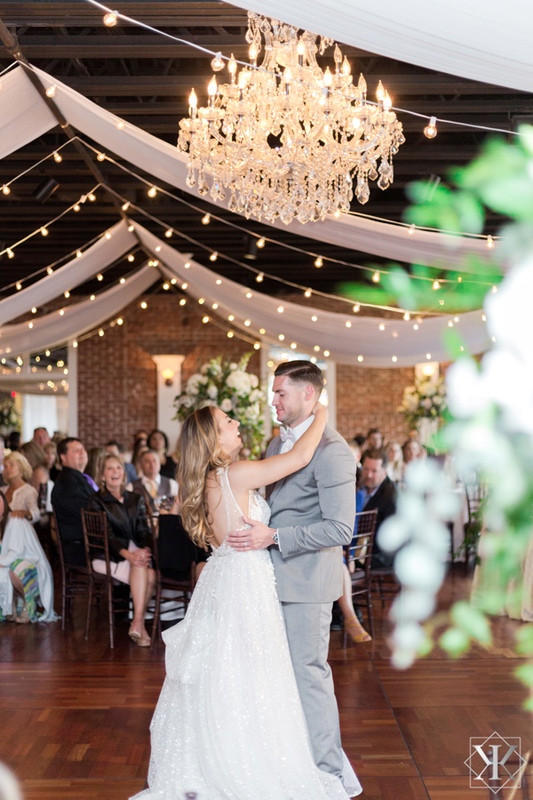 The Bride and Groom share a first dance under the twinkling string lights to Keith Urban’s “Making Memories of Us.” Guests watch from their seats and snap photos of the newlyweds! For dinner, Taylor and Jeff opted for action stations over a traditional plated or buffet meal. 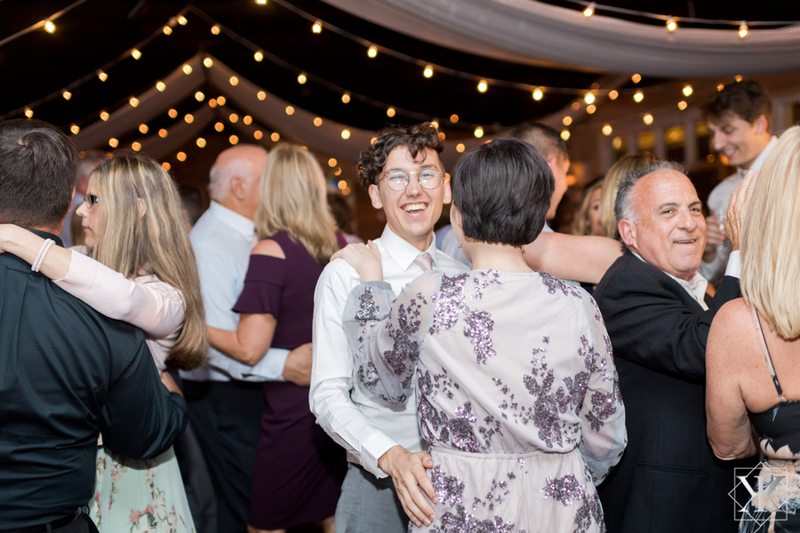 Action stations are a unique way to add options for your guests! Their selections feature a fresh pasta bar, offering penne or bowtie pastas with vodka sauce, alfredo, and basil pesto sauce with added proteins of julienne chicken or shrimp scampi. A pepper seared beef tenderloin station, with a White Room chef hand-carving, includes mushroom demi-glaze paired with horseradish cream sauce. Guests enjoy sides from the Potato Martini bar or vegetable skewers. 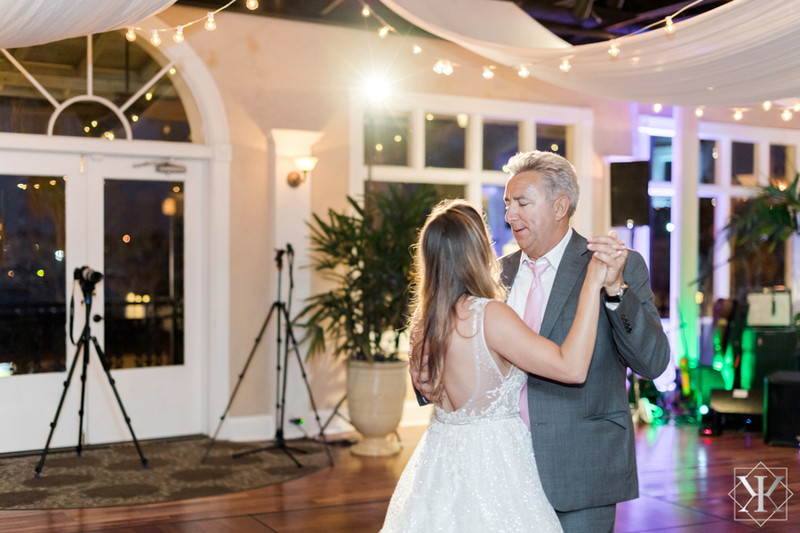 Dinner concludes, heartfelt toasts are made, and it is now time for Taylor’s Father-Daughter dance. 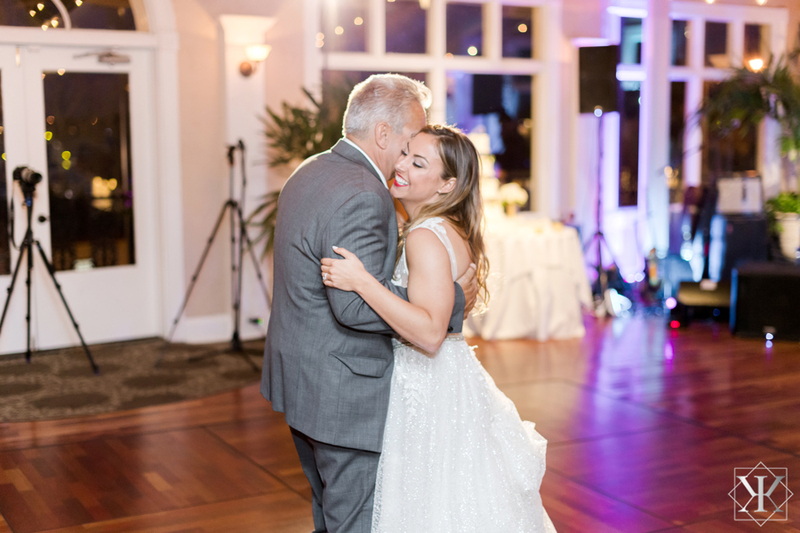 The pair dances to “It Won’t Be Long” by Darius Rucker, proving an incredibly sweet way to celebrate the tradition. 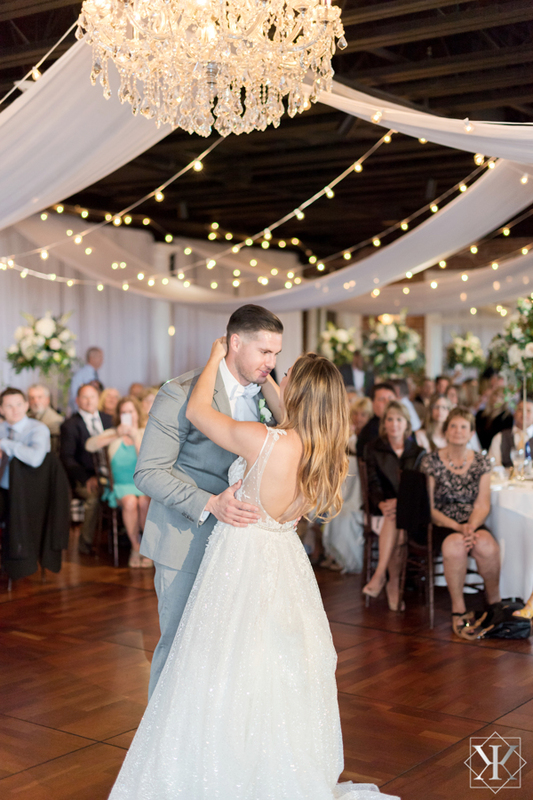 After this tear-jerking moment, the dance floor fills to get the party started! 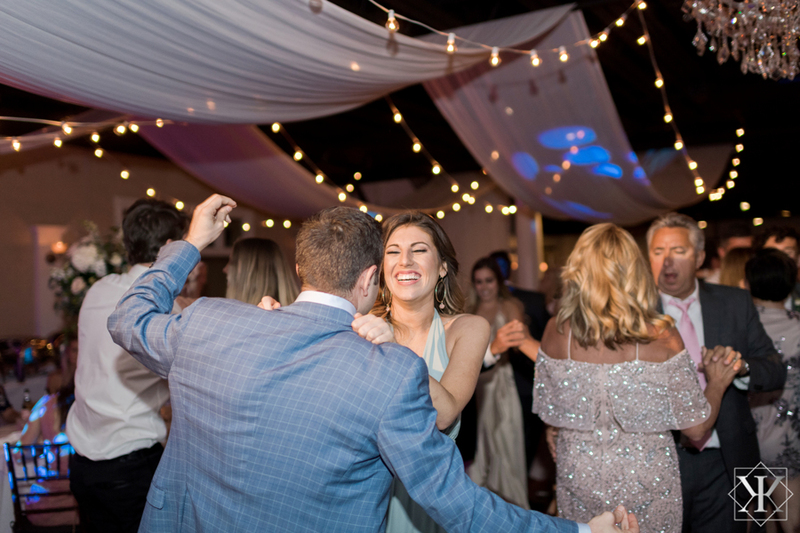 A five-piece band brings plenty of energy to carry the wedding party dancing through the night. 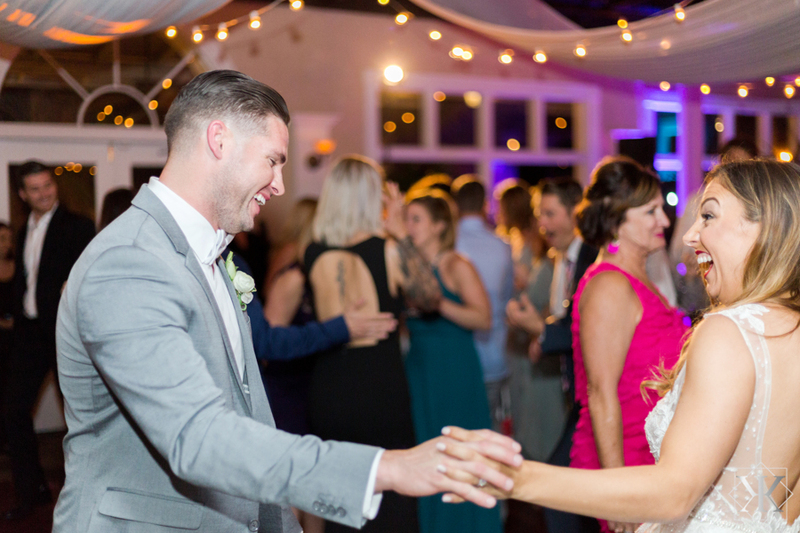 We could not be happier for Mr. and Mrs. Darby! 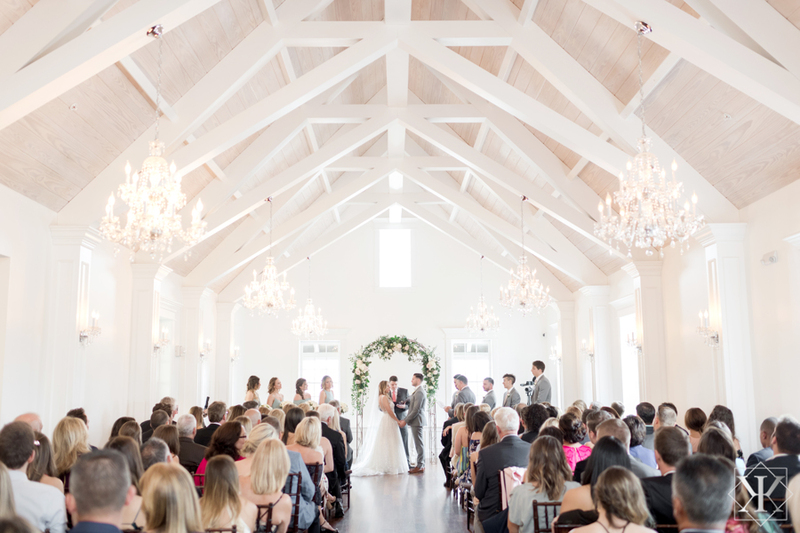 Thank you for choosing the White Room for your special day, it was an honor to host the start of your forever!